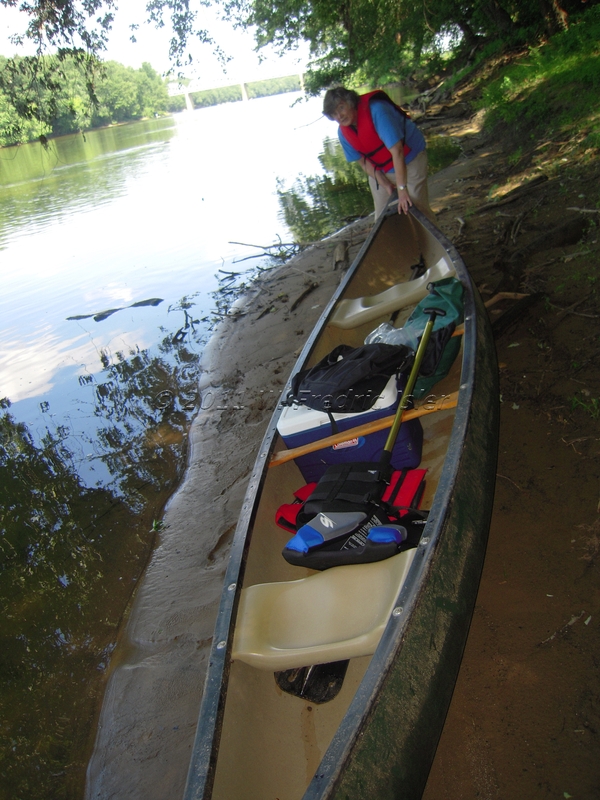 With every paddle stroke in the downstream flow of the upper Potomac we move our canoe past our inexperience on the water and towards our geocaching adventure. We land on Heater’s Island. We step up into a young forest, walk deer trail and no trail, sometimes the two of us, sometimes five, sometimes more. In summer the island’s mass sits up on its plateau like a luscious green layer cake. At other times the island sees much deeper water. Summer means more easy places to land, more opportunities for new adventurers like us. Purposeful exhilaration filled me as we turned from our first moments of water navigation towards our first landing. We touched the south side of the upstream end of the island just for fun, paddling straight into the low mud shoreline. I stepped out into soft brown from the back of the canoe. My boots made great sucking noises as I moved from water to shore, sinking in up to my ankles with each step. We’d remembered our one-sentence basic canoeing lesson and completed one successful launching and landing, and it felt great. We floated further down the island’s southern arc and landed near our first geocache objective of the day, Heater’s Island WMA – Tree Over (GC1JM47). Two kayaks and an inflatable raft were already there. We were an hour late for the Pirates of the Potomac: Revenge on Heater’s Island (GC2BQ05) meet-up so we decided to bypass the rendezvous point. Instead, we counted on meeting our fellow pirate geocachers as we made our way from one geocache to the next. As we came into shore the second time Driddy (Geo Peeps), JennSSM10, and ZigZagMI dropped down from the plateau to claim the other three watercraft. They’d been to the meet-up and were planning to circumnavigate the island, coming ashore only to climb up from the mud, find each cache, and float and paddle to the next. dagdvm and my unfolding plan included launching and landing once more at the center of Heater Island’s southern shore, eXtremeJeep’s designated landing point for the day’s event. We’d climb up into the green and walk the rim of the island’s plateau counter-clockwise from geocache to geocache, down to the eastern end and then back up the northern shore until we found all eight traditional geocaches the island had to offer. Then we’d hike across the center of the island back to our canoe. Two different ways to move around the island, yet the five of us were rarely more than moments apart as we navigated from cache to cache. We’d look out through the green from atop the plateau and see them floating serenely. Or we’d hear the three of them behind us, scrambling up from their latest landing point just as we’d finished signing the log for a cache they’d shortly find. We actually met and talked with them again in the middle of the northern shore while finding the last geocache of the day. While our three sometime companions floated and paddled in the hot sun from cache to cache, dagdvm and I dealt with a different kind of heat in the deep green of our shaded walkabout — stinging nettles. The ones that reached and pricked me ranged from waist to neck-high, with their special mix of sting and numb on every stem and leaf, and they were everywhere across that beautiful island. dagdvm had the good sense to bring and put on a long-sleeved shirt; I didn’t, and I still have fading Heater’s Island summer tattoos on my hands and arms as I write this two months later. Once we’d found Pontiac (GC1M49) we were minutes away from an impromptu gathering of the day’s pirate crew at the downstream tip of Heater’s Island. 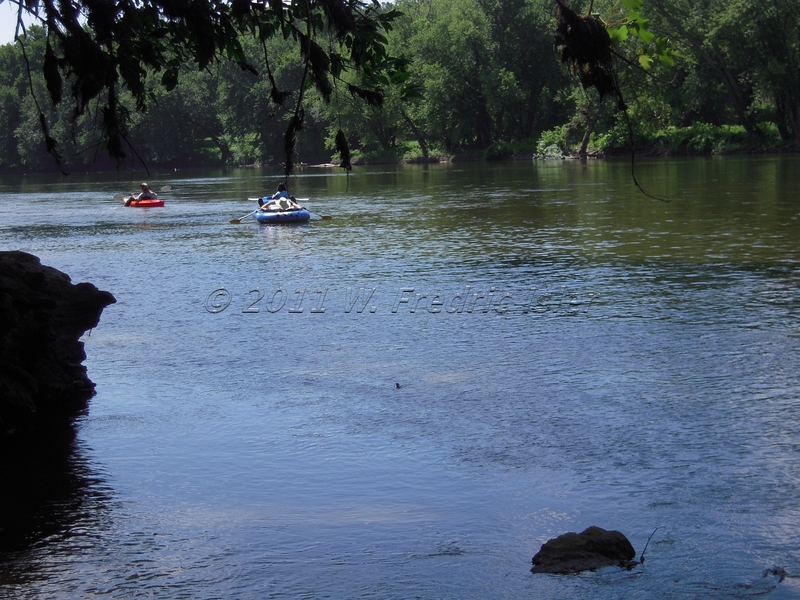 Next, in “Landlubbers Paddle the Potomac, Part 3″: a pirates’ gathering at Hobo’s Lullaby; buzzards in the barn; and we turn for home after the last cache. 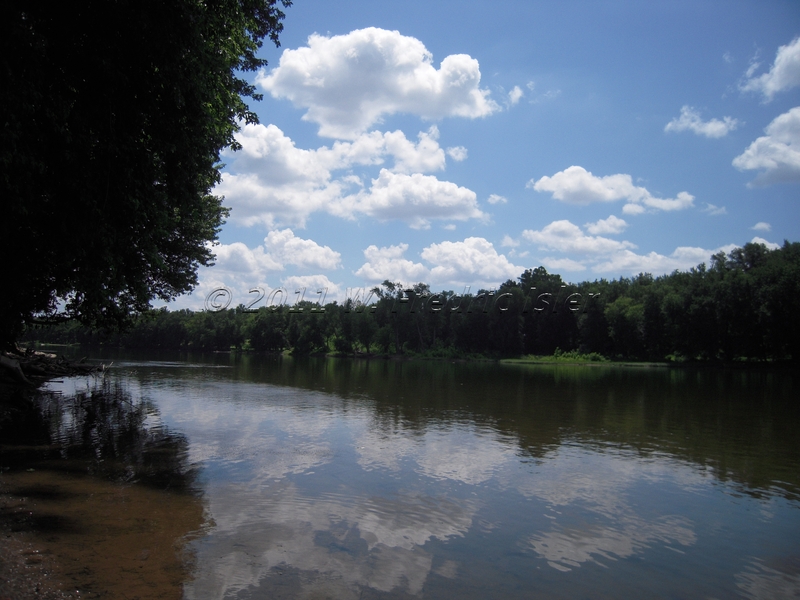 Previously, in “Landlubbers Paddle the Potomac, Part 1″: an audacious proposal; the Potomac lowers itself just enough; and two land-lovers paddle water for the first time. 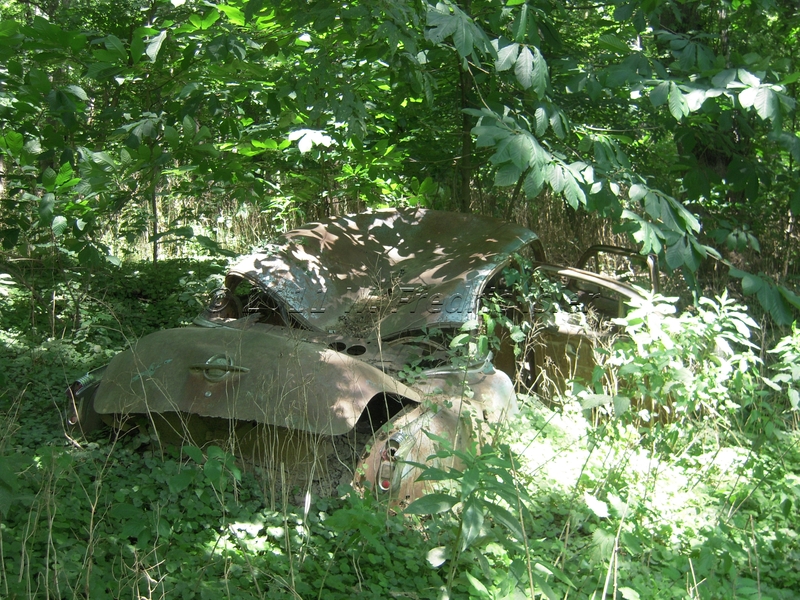 This entry was posted in event, found it, road trip and tagged canoe, canoeing, dagdvm, eXtremeJeep, geocache, geocaching, Heater's Island, Maryland, nature, photography, photos, Pirates of the Potomac, Point of Rocks, Potomac River, rowing, travel, Virginia, Wildlife Management Area. Bookmark the permalink.